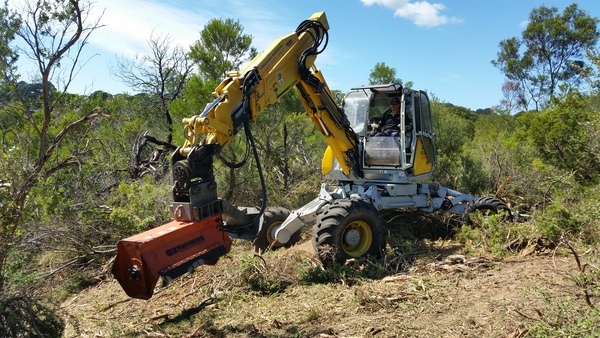 The amazing Menzi Muck with its mulching head working where nothing else can. 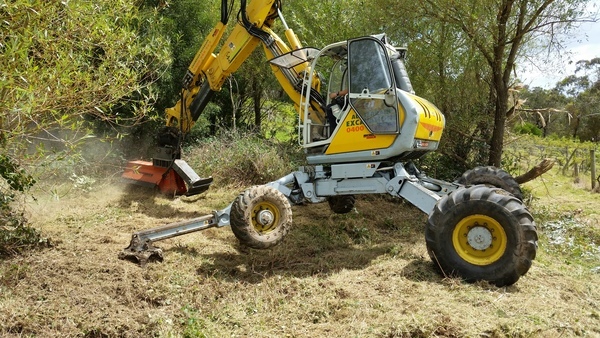 With a fully adjustable undercarriage, it can work safely in 1.8m of water or mud, safely work on a 70% slope, and even climb over fences or a 4.5m wall. This site was childs play for this versatile machine, it also minimises environmental damage compared to more common tracked machines.